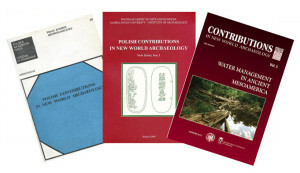 Contributions in New World Archaeology is a semi-annual journal dealing with various aspects of North and South American archaeology, anthropology and ethnohistory. Its main aim is to publish results of archaeological excavations and surveys conducted in various parts of the New World as well as to present papers devoted to the studies of collections of archaeological artefacts discovered in both Americas. Moreover, the journal addresses such subjects as theory, methodology and practice in New World archaeology. The CNWA journal is listed on the Copernicus Index and on the List of Polish Ministry of Science and Higher Education.